Obtaining a mortgage is no doubt one of the biggest financial decisions you will make; as a result, it is important to consider all the existing factors before choosing the right one. Earlier in Mortgage Types 101 we highlighted the existing mortgage types in the market and the unique attributes each has. Depending on your goals, one mortgage type will work best for you. The same goes for mortgage rates. In the marketplace today, you can choose from two mortgage rates – fixed or variable (both are available for all three mortgage types – open, closed and variable). Are you comfortable with some risk in order to possibly save some money in the long run or prefer the peace of mind that comes with stability? These among other factors are important to consider before deciding between fixed or variable. Mortgages with fixed rates will not experience any change or fluctuation in the amount paid towards interest and principal during the term of the mortgage as the rate is locked (with no option to change during the term of the mortgage). Essentially, fixed rates provide consistency and stability to the borrower (no surprises here). Linked with the current prime rate (which is subject to fluctuation), variable rates may either increase or decrease during the term of the mortgage. Your lender will either provide you with a premium rate or discount rate. A premium rate will be prime plus a set amount; alternatively, a discount rate will be prime minus a set amount. For instance, the current prime rate is 3%. If your lender provides you with a discount rate of 0.40%, your variable rate will be 2.6%, which may be lower than the current fixed rate. 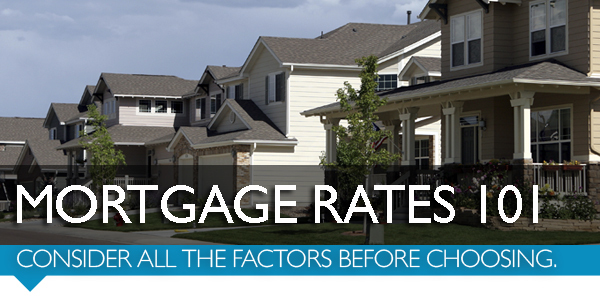 Due to the fluctuating nature of the prime rate, the borrower must be comfortable with some risk.